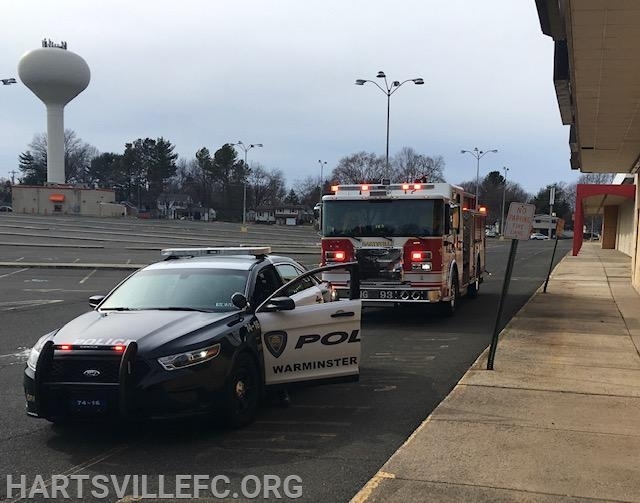 On March 24, Engine 93 was dispatched to the above listed location for a reported traffic accident. 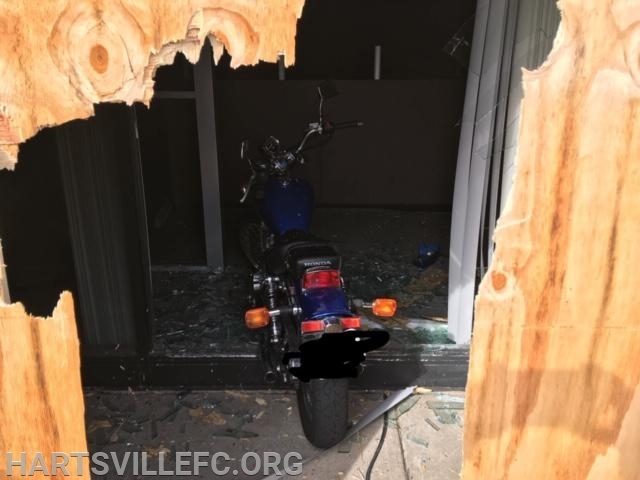 Deputy 93 (McDonald) arrived and found a motorcycle had driven into the store front of the closed shopping center. 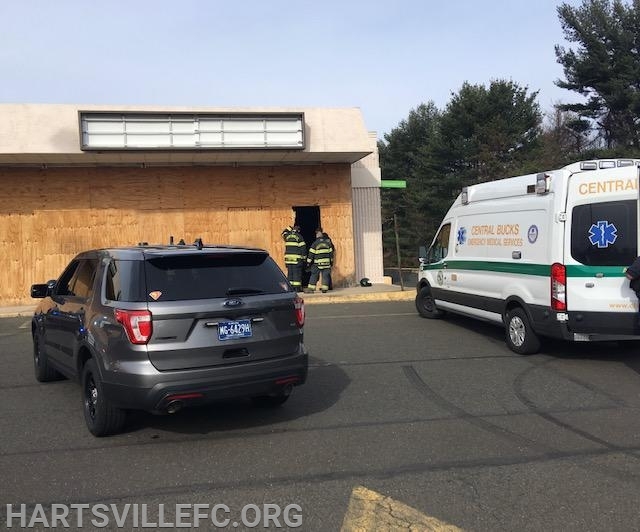 Central Bucks EMS was tending to the driver, while Engine 93 controlled the associated hazards. Crews were on scene for about 30 minuets.